Many homeschooled students can be advanced in certain subjects. Because college-bound students can only count the history, English, or elective courses taken during the four years of high school, parents can use the 7-9th grade years to hone teen writing and composition skills. 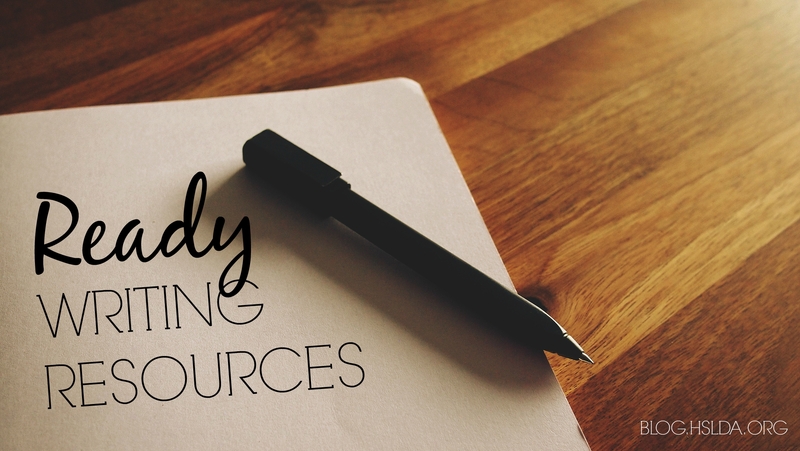 Whether homeschooling parents are veteran writers looking for teaching tools or novices feeling completely out-of-depth, here are some recommended resources to consider. Before writers can write, they must have something to say. Helping students develop observational skills – looking beneath the surface – is an important first step to developing a good writer. Next, students must hear the language spoken well and with elegance because students’ listening skills strongly influence their writing skills. Check out the CD section at your local library to find audio renditions of great literary books. Parents need a big picture framework to understand how to teach the writing process, and organization of paragraphs and essays plays a key role in developing facts into arguments, arguments into insights, and insights into a thesis. Bandusia Tutorials offers an online expository writing course, which students complete at their own pace within a specified ten-month period. Students receive detailed weekly feedback on every assignment and can email the teacher at any time with questions. In addition, the course offers periodic private teacher conferences. Brave Writer offers a self-directed writing program for teens to help them find their voice. Instruction focuses on students learning how to think, argue, and develop their own writing style. Parents can purchase this self-paced course alone or in combination with The Writer’s Jungle. The Center for Literature offers a teacher training workshop DVD and workbook called Teaching the Classics: A Socratic Method for Literary Education. This method trains parents to teach students to think by asking and answering hard questions. Learning how to think about any subject is fundamental before attempting to write about it. By understanding how an author develops an idea and advances a theme, students develop skills to do the same in their own compositions. Classical Writing offers a rigorous at-home classical instruction in composition. Interested parents can access four free online tutorials that explain methodology and terminology. The Institute for Excellence in Writing (IEW) offers teacher training in a DVD workshop entitled Teaching Writing: Structure and Style. These concepts teach the how of good writing but not the substance of building arguments. Once parents understand the stylistic concepts presented, they won’t need to purchase grade level materials, so this is a cost effective way to teach both style and grammar. Unfortunately, many students use these elegant tools poorly, so encourage students to wait to utilize these techniques until the end of the writing process. These tools can help students succinctly change simple and compound sentences into complex sentences rather than inflate writing to add unnecessary phrasing. Other resources to consider are the Advanced Student Communication Series training tapes and the Student Writing Intensive Level C.
Write at Home offers a pay-per-paper service program along with annual courses, semester courses, or 8-week a-La-Carte workshops. This gives parents the ability to select the actual skill that teens could benefit from outside instruction. Writing Strands offers a sequenced approach to teaching the tools of composition and developing the skills necessary to succeed in writing. This method assumes that parents feel confident in their own writing ability. Here’s a chart that helps parents decide the appropriate level for their teen. Patrick Henry College Writing Mentorship Program allows students to schedule up to four hours a week to work with PHC writing mentor, and mentors can communicate with students or parents via email, phone, or Skype. The service begins when parents sign up with a 4-hour deposit. Parents have great flexibility to tailor this service to best suit their needs and their teen’s need. Time 4 Writing offers 8 week courses in middle school and high school composition. For parents who need help teaching particular writing skills, this is a good option. The high school courses included instruction in paragraphs, essays, timed essays (such as the SAT), and research papers. Format Writing by Frode Jensen and The Power in Your Hands by Sharon Watson are excellent writing curriculums and include writing samples and grading guidelines. Thank you, Irene, for mentioning these good writing resources. Cathy Duffy agrees with your recommendations, especially The Power in Your Hands. I appreciate your input as teaching and evaluating writing is an area that challenges many homeschool parents. Thanks, Janet, for mentioning WriteShop II. I’m glad to hear that this resource gave you confidence to teach language arts because my goal is for parents to feel confident in their choices.